Did you just install the Qolsys Panel 2 system, or are you looking to add this to your home or office security system? Let’s run through the top 10 frequently asked questions about this sleek-looking panel, so you can learn even more about this security device and utilize all of its amazing features. #1. If my system is not armed, can I still send an emergency signal? If you need need to send a police, fire, or a medical emergency but your system isn’t armed, you can send a manual emergency panic signal. To do this, simply press the icon in the bottom right corner and select the appropriate emergency. *Note: It’s important to note that depending on where you are, not all options may be made available. #2. How can I cancel an emergency panic signal? If you accidentally signaled an emergency panic signal, simply press the “cancel” X button, then enter a valid user code. #3. How can I bypass certain sensors when arming the system? If you’re arming your system and you don’t want to arm all of your sensors, simply press the circle next to the system to successfully bypass it. #4. How can I disarm my system? You can manually disarm your panel by touching the icon in the center of the screen. After pressing the icon, you’ll need to enter a valid code. If you fail to enter a valid code within the time limit, an alarm will trigger. *Note: When the system is manually disarmed, the panel will take a picture of the person with the date, time, and name of the user. You can also disarm your system even when you are away. To do this, just login to your mobile app on your smart device and press the “disarm” icon. You can use Bluetooth to automatically disarm your Qolsys Panel 2 system from an “Armed Away” status when you get within range. #5. When someone disarms a system or enters an invalid code, where are the pictures stored? When someone disarms the panel manually, the built-in camera takes their picture and stores it in their ARM/DISARM section. These photos are tagged with a username of the individual’s code, as well as a date and time stamp. When an invalid code is entered, the build-in camera takes a picture of the person and saves it in the “SETTINGS” section. #6. How can I see the status of my security and smart home devices, and more. To see the status, simply navigate to the systems page. #7. When my panel is not in use, it turns into a customizable photo frame. How can I add photos, and how can I delete them? Enter the SD card into the slot on the panel’s side. You can either replace your photos on the Qolsys Panel 2 by clicking on “replace.” This will delete the current photo son the panel and replace them with the new selected photos. #8. What user accesses are there? Master: With this access, you can get to all panel functions, the camera, as well as the system settings. User: This level allows you to access the panel functions as well as the camera. You can’t access the system settings though. Guest: This level can disarm and arm the system and is generally given to those who would use the Qolsys Panel 2 system temporarily. #9. How can I reboot my system, it’s giving me some errors. #10. My panel doesn’t seem to be sending or receiving signals, what should I do? 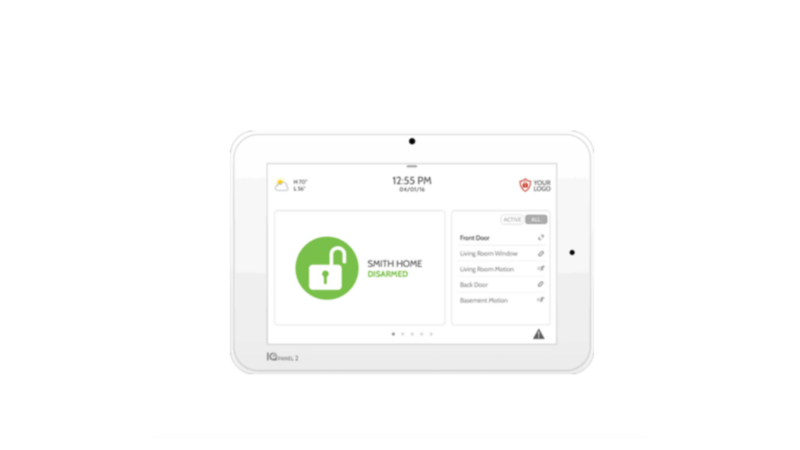 Put your Qolsys Panel 2 System to good use with the above information and maximize your home security. If you have any questions about the Qolsys Panel 2 System that we didn’t answer above, go ahead and leave a comment below! If you’re looking to get this panel for an incredible price, go ahead and click here to check it out! Make sure the bluetooth disarming is enabled on the panel. You might need to have your alarm company enable it for you.